Refer to DTC P0136 (See page ). When any of these DTCs are stored, the ECM enters fail-safe mode. The ECM turns off the heated oxygen sensor heater in fail-safe mode. Fail-safe mode continues until the ignition switch is turned off. The ECM provides a pulse width modulated control circuit to adjust the current through the heater. The heated oxygen sensor heater circuit uses a relay on the +B side of the circuit. 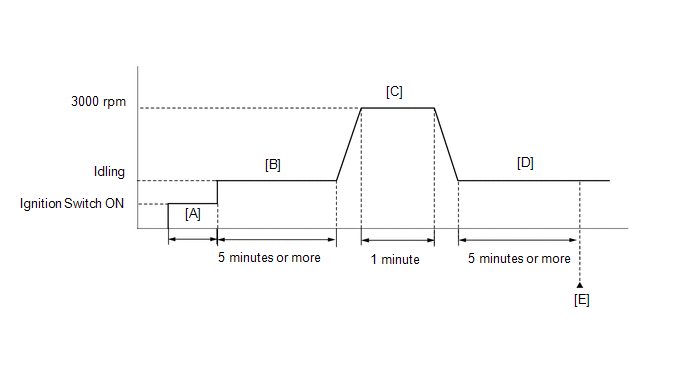 The heater current less than the specified value while the heater is operating (1 trip detection logic). Heated oxygen sensor heater current reaches high limit (1 trip detection logic). The cumulative heater resistance correction value exceeds the threshold (2 trip detection logic). The sensing portion of the heated oxygen sensor has a zirconia element which is used to detect the oxygen concentration in the exhaust gas. If the zirconia element is at the appropriate temperature, and the difference between the oxygen concentrations surrounding the inside and outside surfaces of the sensor is large, the zirconia element generates voltage signals. In order to increase the oxygen concentration detecting capacity of the zirconia element, the ECM supplements the heat from the exhaust with heat from a heating element inside the sensor. The ECM monitors the current applied to the heated oxygen sensor heater to check the heater for malfunctions. If the heater current is outside the normal range, the signal transmitted by the heated oxygen sensor becomes inaccurate. 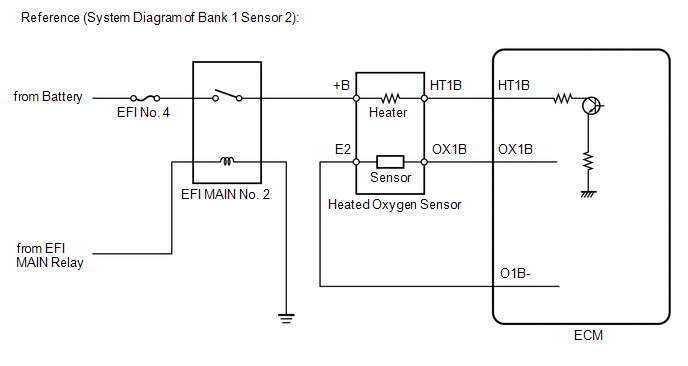 When the current in the heated oxygen sensor heater is outside the normal operating range, the ECM interprets this as a malfunction in the sensor heater and stores a DTC. After the accumulated heater ON time exceeds 100 seconds, the ECM calculates the heater resistance using battery voltage and the current applied to the heater. If the resistance is above the threshold value, the ECM determines that there is a malfunction in the heated oxygen sensor heater and stores DTC P0141. Refer to Checking Monitor Status (See page ). Input the DTC: P0037, P0038, P0141 or P102D. 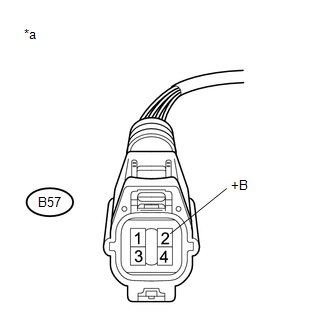 (a) Inspect the heated oxygen sensor (See page ).